Women who work for the state earn 79 cents for every dollar that men earn, according to a 2014 report by the California Department of Human Resources. That’s a wider gap than that faced by women who work in the private sector or for the federal government in the state. California isn’t alone. While nationwide data is not available, male state workers earn more than their female counterparts in many states, including Idaho, Maryland and Texas. 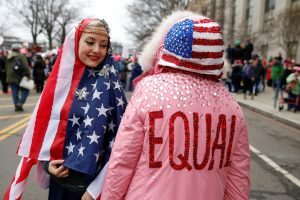 An assessment last year by the online salary data firm PayScale listed the gender pay gap in public administration the fourth-highest among 21 professions and industries across the economy, with women making less than 75 percent of what men make — an average of $16,900 less. The gap in public administration trailed only finance and insurance, professional services and mining. Many cities, including Alexandria, Virginia, New Orleans and Sacramento, have spotted the gap and tried to address it, just as some states have. Late last year, the California Senate gave 10 percent raises to 71 state employees in an effort to address disparities in pay between male and female workers employed in the state Legislature. In January, lawmakers in South Carolina — where women who work for the state earn 87 percent of what men earn — introduced a bill that would guarantee equal pay for equal work and prohibit gender discrimination for private sector and state employees. In Missouri and New York, lawmakers have introduced legislation that would commission studies of wage disparities among state workers. In Minnesota, which has tried for decades to address the issue, Democratic Gov. Mark Dayton announced plans in November to grant state employees up to six weeks’ paid parental leave. The plan applies to all workers, but Edwin Hudson, deputy commissioner of the state’s management and budget office, said because women often lose wages when they take time off to care for children, it could help close the wage gap. Women in Minnesota state government earn 89 percent of men’s wages on average, up from 69 percent in 1976. In general, state jobs around the country are subject to stringent transparency rules, anti-discrimination laws and standardized pay rates. Despite these safeguards, disparities at the state level persist, though they are generally smaller than the pay gap in the private sector. Advocates for women such as Kate Nielsen, state policy analyst for the American Association of University Women (AAUW), said “occupational segregation” is partially to blame. “We need to look for ways to support women in nontraditional jobs and overcome implicit bias to make sure that women are being hired at all levels,” Nielsen said. For women to break into male-dominated fields in the state workforce, states need to step up recruitment efforts and work to ensure that entrance exams are not biased, said Ariane Hegewisch, the program director for employment and earnings at the Institute for Women’s Policy Research, which focuses on policies that affect women. Women typically need more accommodating work arrangements, such as flex-time or telecommuting, to handle family obligations. As a result, Minnesota’s Hudson said, they often gravitate to lower-paying occupations that make it easier to meet the obligations. To close the gender gap among state workers, lawmakers need to pass flex-time legislation, Hudson said. Some jobs dictate strict schedules, but state government has to be creative, he said. “We’re going to have to be more competitive, particularly as the labor market shrinks,” Hudson said. Nationwide, women experience a persistent pay gap in the public and private sector, earning 80 percent of what men do. For women of color, the gap is even larger. At the current rate of wage growth, the AAUW projects that women will not reach pay equity with men until 2152. In the absence of legislation by the U.S. Congress, bills to address the gender pay gap have been introduced this year in at least 18 states, according to the National Conference of State Legislatures. Typically, equal pay legislation covers both private and public sector employees, the AAUW’s Nielsen said. One exception is Louisiana, whose equal pay law protects just public sector employees, who account for 6 percent of the workforce in the state. And it seems to be effective. Women who work in Louisiana’s private sector earn 57 cents for every dollar men earn, while women working for the state earn 78 cents for every dollar their male counterparts make. Louisiana lawmakers introduced legislation this year that would amend the state’s 1950 pay protection law to include private sector employees. It also would require government contractors to verify equal pay practices. In Texas, women and minorities working for the state consistently earn less than white men — a gap that has grown over the past decade, according to data analysis by The Dallas Morning News. And in Maryland, an investigation last year by The Washington Post found that the pay gap among state employees was largest in Republican Gov. Larry Hogan’s office, where men hold more senior positions and women earn 68 percent of what men earn. In the 1970s and ’80s, many states made a concerted effort to tackle pay inequities between male and female government workers. They required employers in the public and private sector to pay men and women equal pay for the same work. By 1989, 20 states had implemented programs to boost the pay of lower-paid female government workers. These programs are no longer in place, but a 1994 study by the Institute for Women’s Policy Research and the Urban Institute found that the pay adjustments helped close the gap among state workers. Another 23 states had studied their wage gaps by the early ’90s. Today, a Minnesota commission monitors wages for state and local employees and reports on pay inequities to the Legislature every two years. According to a 2016 report by the state, an 11 percent wage gap persists among state workers largely because women are clustered at the lower end of the wage spectrum. The study found that if office, clerical and skilled craft jobs were held equally by men and women, the wage gap would decrease from 11 to 2 percent. California has several steps in place to try to prevent the wage gap between men and women. For example, the state outlines specific job classifications with corresponding pay rates for state workers, according to Joe DeAnda of the California Department of Human Resources. The state’s merit-pay system is also codified, with a specified range of pay raises. Sometimes this can work against managers seeking to remedy pay disparities. But it also means that managers can’t give male employees bigger raises, he said. Nationwide, the pay gap persists for a complex variety of reasons, from the stubbornness of the “pink collar ghetto” to “mommy tracking” to the fact that men typically occupy more senior positions in state government, equal pay advocates say. In short: Men and women continue to do different work — a phenomenon that plays out in state workforces around the country. In California, for example, the 20 percent pay gap persists partly because women work in lower-paying, clerical jobs, while men overwhelmingly work in male-dominated fields such as engineering, state police and fire departments, DeAnda says. In its 2014 report, California’s Department of Human Resources recommended that state agencies step up efforts to recruit women, increase internships and job-shadowing opportunities for women, increase career development and professional training opportunities, and improve leadership development and succession planning efforts so the next generation of female workers is ready to step into upper-level positions. Closing the pay gap helps women and families to get ahead, said the AAUW’s Nielsen. And when states give female workers “a fair paycheck and a seat at the table, it means more women’s voices are represented, which means that there are more policies that will represent the population,” Nielsen said. To close the gap, states need to first do an audit, looking at pay and gender department by department, job by job, and ferret out what’s causing the inequities, said Emily Martin of the National Women’s Law Center, which advocates for legal and public policies that benefit women and families. “Only then can you close the gap,” Martin said.